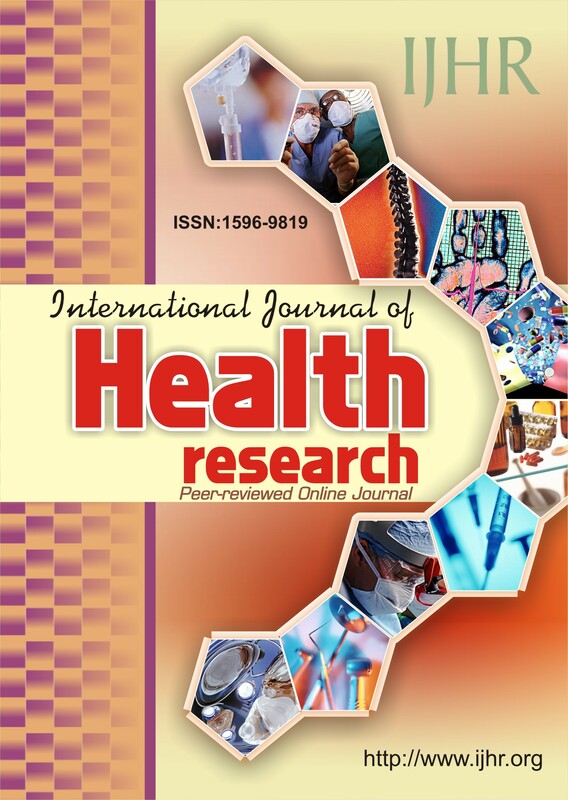 The International Journal of Health Research is an open access international journal devoted to the promotion of health sciences and related disciplines (including medicine, pharmacy, nursing, biotechnology, cell and molecular biology, and related engineering fields). It seeks particularly (but not exclusively) to encourage multidisciplinary research and collaboration among scientists, the industry and the healthcare professionals. It also provides an international forum for the communication and evaluation of data, methods and findings in health sciences and related disciplines. The journal publishes original research papers, reviews, commentaries and case reports on current topics of special interest and relevance. All manuscripts are subjected to rapid peer review and only those of high quality (not previously published and not under consideration for publication elsewhere) are published without delay. All author are required to submit and monitor the status of their manuscripts online using our manuscript management software. Copyright@2013. International Journal of Health Research, Elele, Nigeria. All rights reserved.